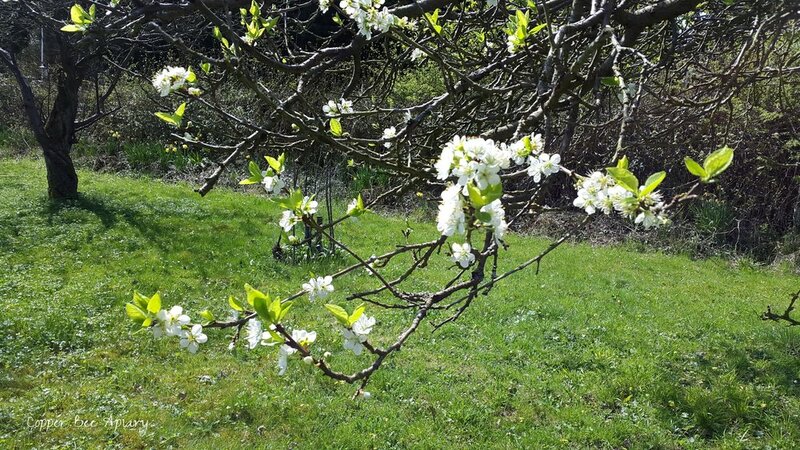 On Saturday I opened the hives at the orchard, helped by my two friends whose orchard it is. All 3 colonies are doing well. All 3 queens were there - we saw Queen Nefertiti and Queen Mab, and deduced the presence of Queen Lois by the presence of brood. 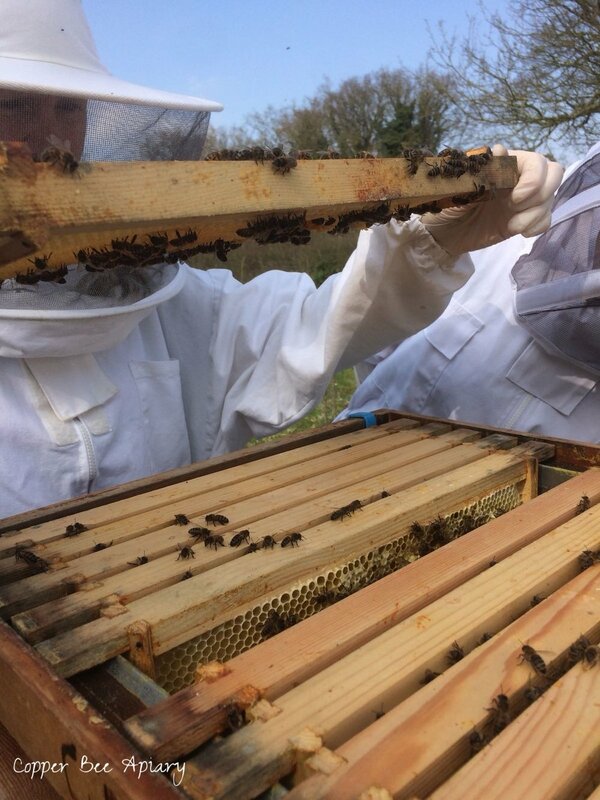 My fears about them going hungry were unfounded - they all had stores in their brood boxes, and the colony of Queen Mab had hardly eaten any of the super of crystallised honey I'd added on top of the hive. 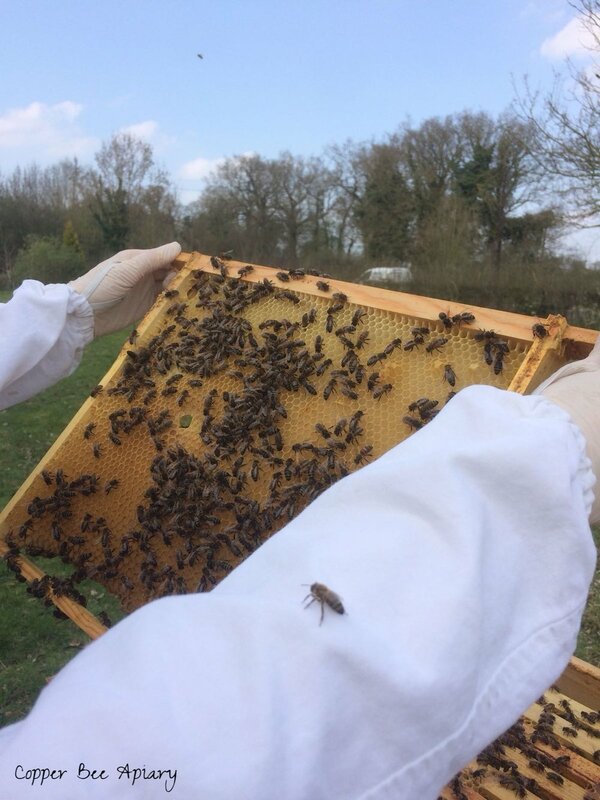 We could see no explanation for why Queen Nefertiti's colony behaved differently during the move compared with the other two colonies. The queen is well. 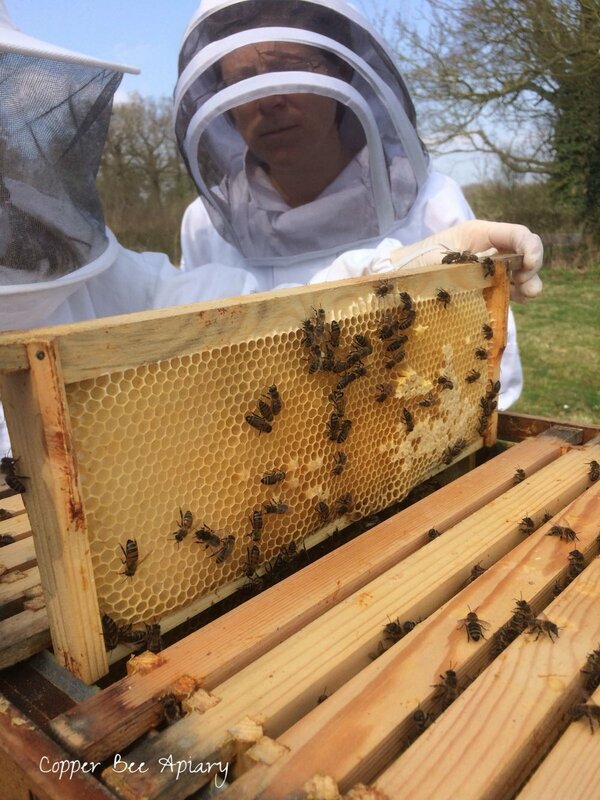 Hers is the strongest colony and her bees have a gentle temperament. Queen Mab's colony is a little smaller, and Queen Lois's the smallest. 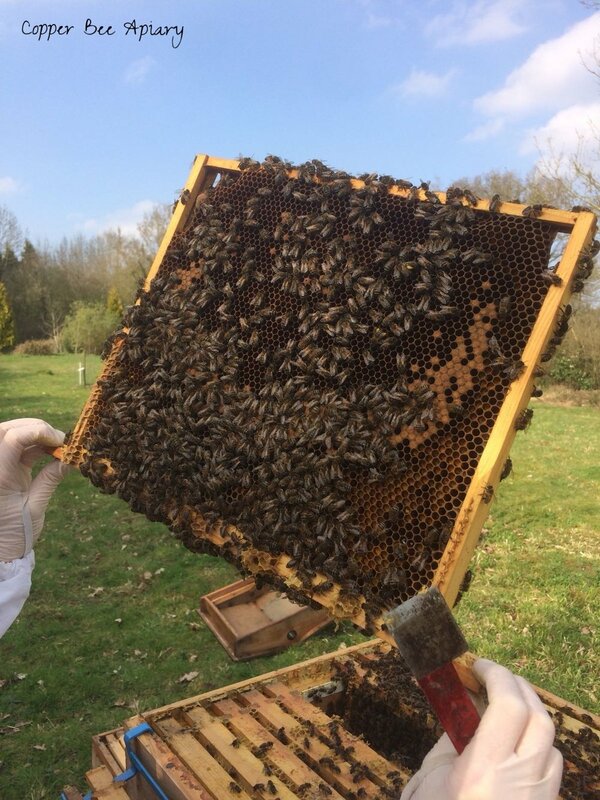 We removed the empty lower brood boxes from the hives of Queen Nefertiti and Queen Mab, and later at home I upgraded my bait hive by adding a couple of the dark, empty brood combs. 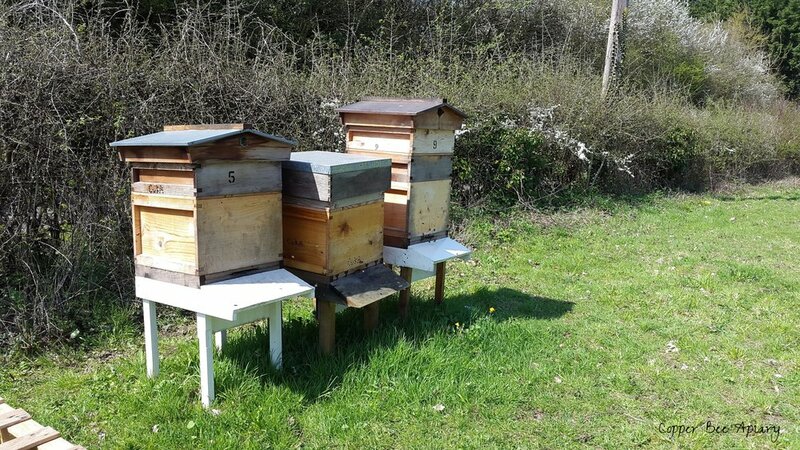 As I am now the proud owner of a chest freezer, the rest of the removed empty brood frames went in there, boxes and all, to await cleaning up while the cold kills off any wax moth in the meantime. 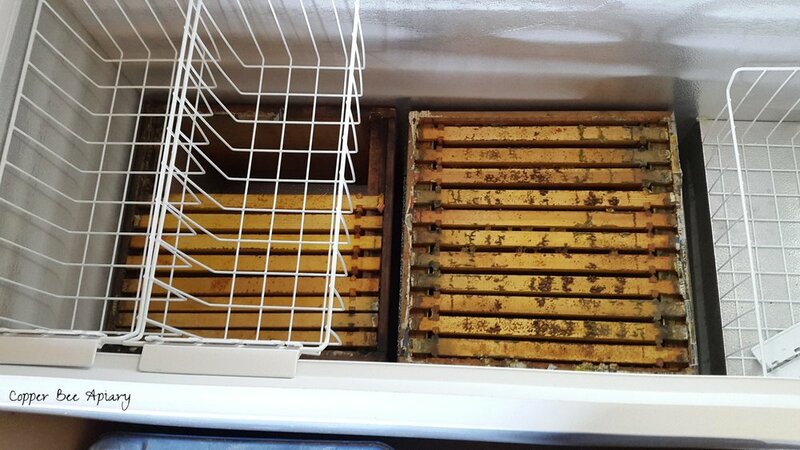 Brood boxes in the chest freezer - two fit perfectly side by side. 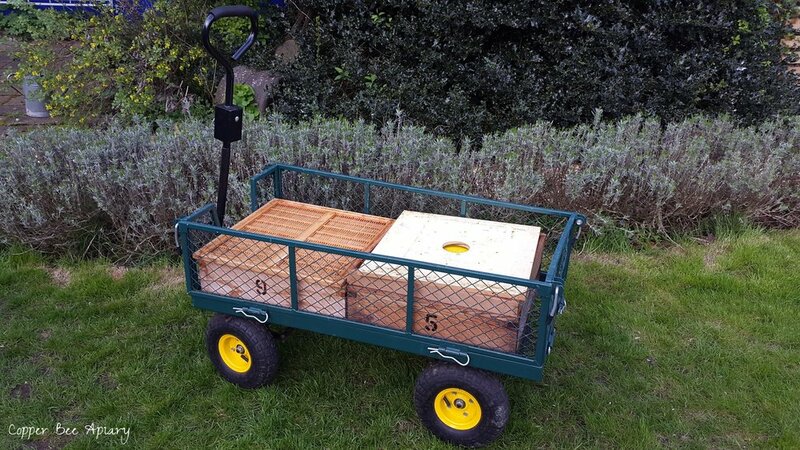 The handy garden trolley has been super useful for transporting hive parts between car and bee shed at home. It perfectly fits two supers side by side.